Just like any other thing in the world, the Guinness beer has its own story to tell. We need to know the humble beginning of Guinness beer before it was considered as Ireland’s pride. For the local citizens, it is not a mere drink for any occasion, but an extraordinary beer. The name itself can tell you about its popularity. The book, “Guinness World records” is also associated with the beer. The story of Guinness started in Celbridge, an Irish village. Arthur Guinness had his first venture on a small rented factory. The place was intended for brewing ale. Arthur sought the help of his brother, Richard, to assist him on conducting the business. Fortunately, their business was very successful within the three years of operation. Consequently, Arthur had a thought of transferring to Dublin for an opening of new brewery. In 1759, he discovered an old brewery called “St. James’ Gate Brewery” within the city. He agreed to rent the factory, amounting to £45 per year for 9,000 years. Arthur Guinness took the opportunity of having his successful business. In 1778, Arthur started to introduce beer porter. Single and Double Stout were used by primary Guinness beers in 1840. 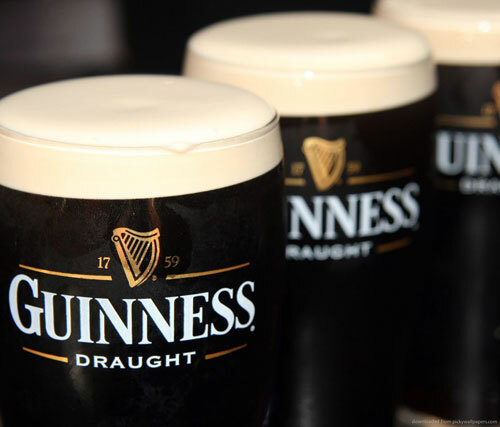 In 1868, the sale of Guinness was recorded to reach 350,000 barrels. In 1876, there seemed to be double sales of 779,000 barrels. It was in 1886 when Guinness was developed as a public company, having a progressive sale of 1,138,000 barrels annually. Even without discounts and advertisement, the company continues to make its name more famous compared to other brewing companies. Moreover, the absence of public houses never hindered the company to increase its shares. In fact, it had a value of £ 6 million wherein the shares are highly impressive. Specifically, there was 60% premium for the trading. In Dublin, there were times when the beers are not anymore competent. Brewing industries were given more importance because of the satisfaction they offer to the customers. Aside from Ales, Guinness applied some innovations to its beers. It offered a new taste on beer which was produced from an over roasted barley. This beer acquired a dark color. There was also a belief that the invention of such beer was accident. There was an incident when the barley was left unattended for a long time. As a result, it became exceptionally dark. Instead of wasting the final output, Arthur still offered the drink to his co-workers. He did not expect that it would be appreciated very well. The unique taste and color of the beer was popularized in Ireland. It was first known with the name “Porter” because most porters in London were very happy with the beer. Arthur was very successful with his aim of making the product greatly loved by many. He had a very high share from the sales of English trade and eventually makes a loud blast on brewing industry. In 1825, the original Guinness beer was more known as Guinness Stout. The beer was also brought abroad. St. James’ Gate became the largest brewery in Ireland, having more than one million of produced barrels per year.